The Air Lift 75561 Bellow Over Strut Kit is a bellow air bag that is installed over the strut. If you cannot match a ready-made bellow-over-strut, this item is customizable and can be adjusted to fit your vehicle. The AL 75561 Bellow Over Strut Kit gives your vehicle the benefits of lifted suspension driving. 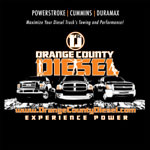 OC DIESEL offers Professional Air Lift High 75561 Bellow Over Strut Kit installation. We're ready to take your call 8am to 5pm PST Monday through Friday. Most orders ship within 1-2 business days. Please allow an additional 3-5 business days for Standard Ground Delivery in the U.S.
For Overseas or International purchases, please email or call our Internet Customer Service Center at 714-848-2170. 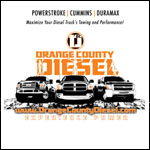 Get your Diesel Swag On!